As I mentioned on Friday, I’m headed to Key West this weekend with two of my besties and I could not be MORE excited to start sipping margaritas and singing along to the tropical jams! It’s actually Songwriter’s Festival this weekend & is supposed to be one of the busiest weekends of the year on the island! I’m so excited to hear the talent behind some of today’s biggest stars; plus, rumor has it Jimmy Buffet often pops in this weekend (Fun Fact: my dad’s a huge parrot head and the first concert my dad took me to was Jimmy Buffet)- no needless to say I would be pumped to see him! 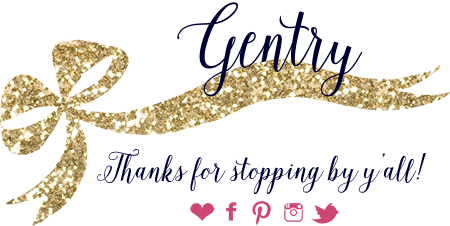 With all the sightseeing, boating, drinking, eating, and dancing we have planned (whew!) I needed to pack clothes that would be easy to wear and not be too hot (after all it IS Florida!). 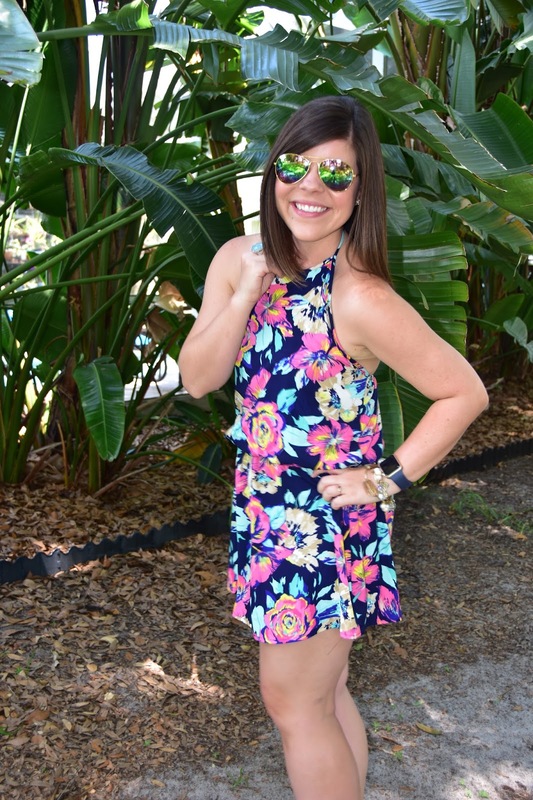 Enter the perfect tropical dress from the Mint Julep! 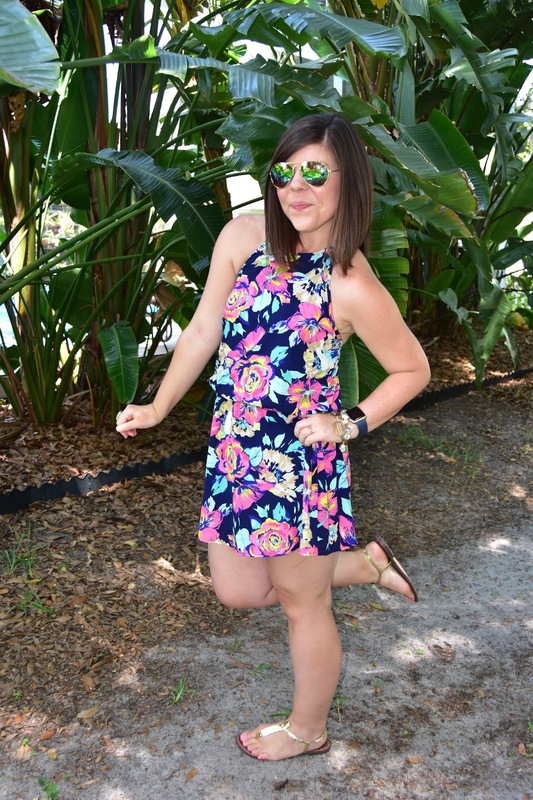 A little short, yes, but super sassy and perfect for swaying with the palm trees! I love the flirty drop waist and the backless details- can’t wait to share some insta pictures in it while on the island! Pink Striped Cardigan Under $25! Girl, you always find the best dresses! 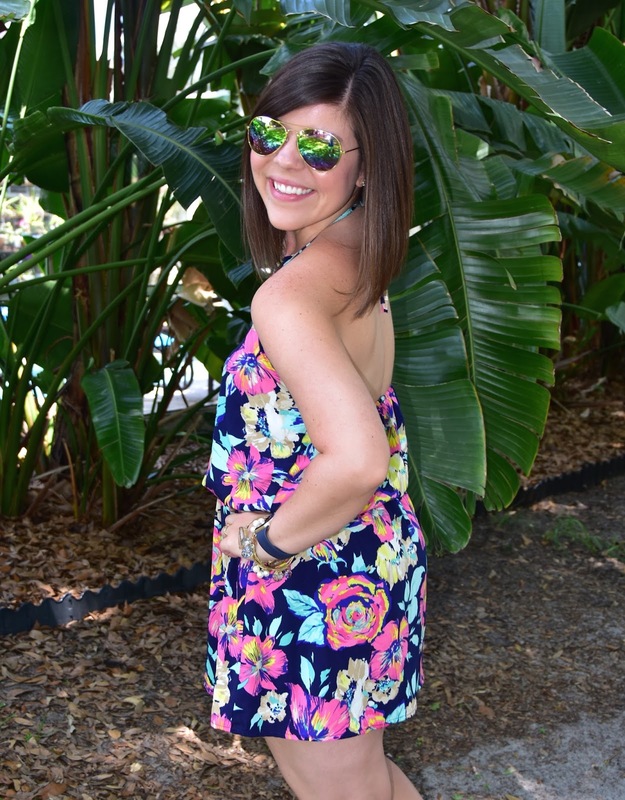 I love how bright and colorful this one is – it's perfect for a summer-ish weekend in Florida! That dress is so pretty! I love the colors!